March | 2013 | Let their light shine! Easter is nearly here! In toddler group we have been learning about being ‘Wonderfully made’ and have already talkied about our mouths that shout, whisper and taste’ and our ears that can ‘hear shouts and whispers’. The Bible story that we are using to develop this is the Palm Sunday story that we read in Luke 19:29-40, Matthew 21:1-11, Mark 11:1-10, John 12:12-15. In these accounts people shouted ‘Hosanna!’ and everyone heard. The story will be told simply and the children will be encouraged to shout ‘Hosanna’ in the appropiate places! 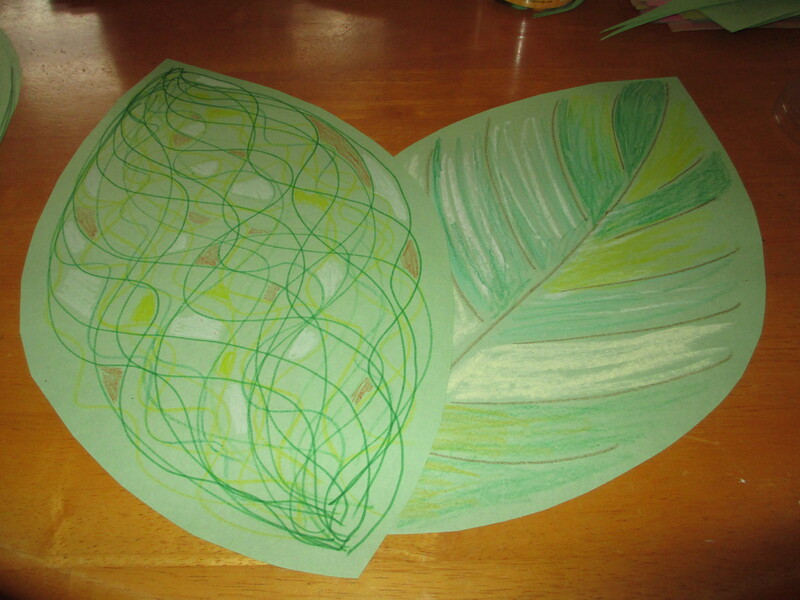 The above craft is palm leaf shapes for the children to decorate using chalk, felt tip and wax crayons. 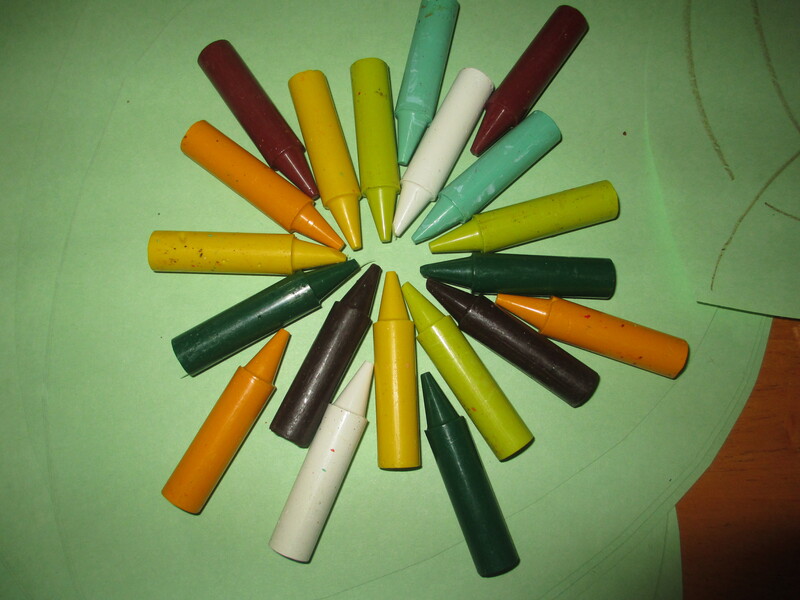 I prefer wax crayons rather than the plastic variety as they blend and make a better mark on the paper. The word Hosanna means ‘Save please’ and also ‘Salvation has come.’ Take a look at what John Piper has to say about Hosanna! There are Bible stories that tell us what happened just prior to Jesus’ death and ressurection. One of these stories tells us about mary annointing Jesus’ feet with expensive perfume. 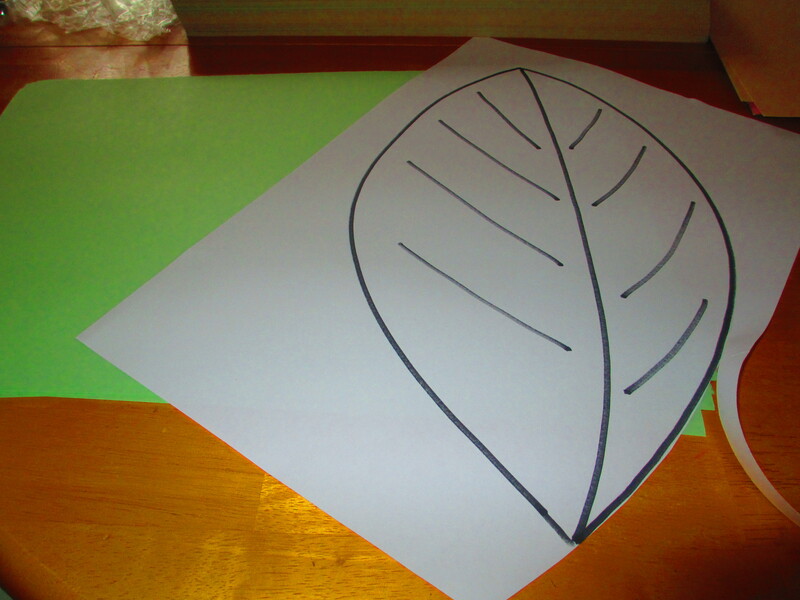 As the children had been learning that we are ‘Wonderfully Made’ we started with the familiar – we thanked God for our noses and how they help us to smell (we did the flower craft for this). Then we moved from the familiar to something new – the story of mary and the expensive perfume she used to anoint Jesus. 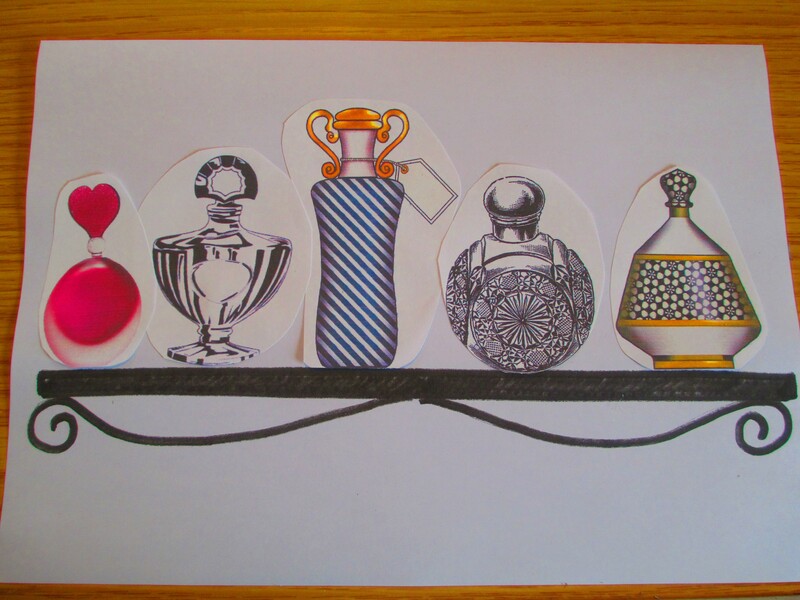 The story is found in John 12: 1-8 where we read that, ‘the house was filled with the fragrance of the perfume.’ When you tell the story have a bottle of perfume to show. 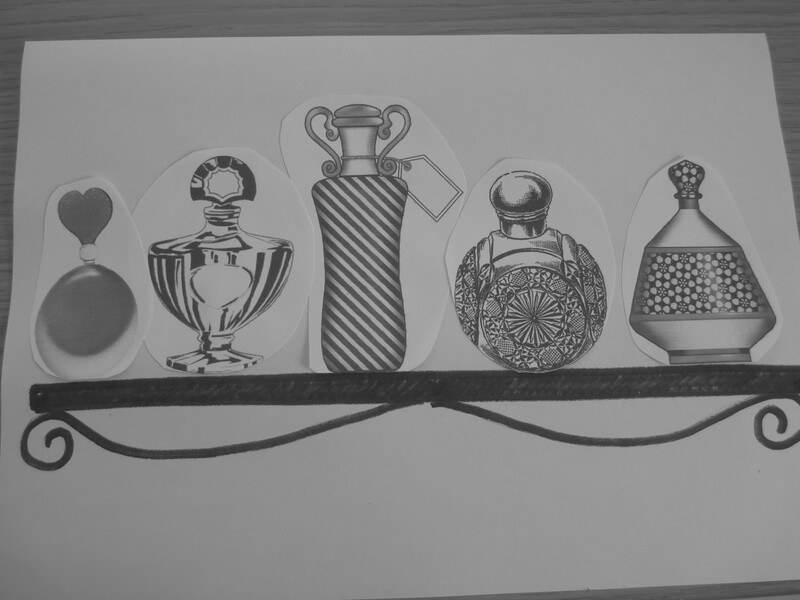 The craft was very simple – a shelf and an assortment of perfumes bottles to stick onto it. You could spray these with perfume beforehand (before the children arrive). 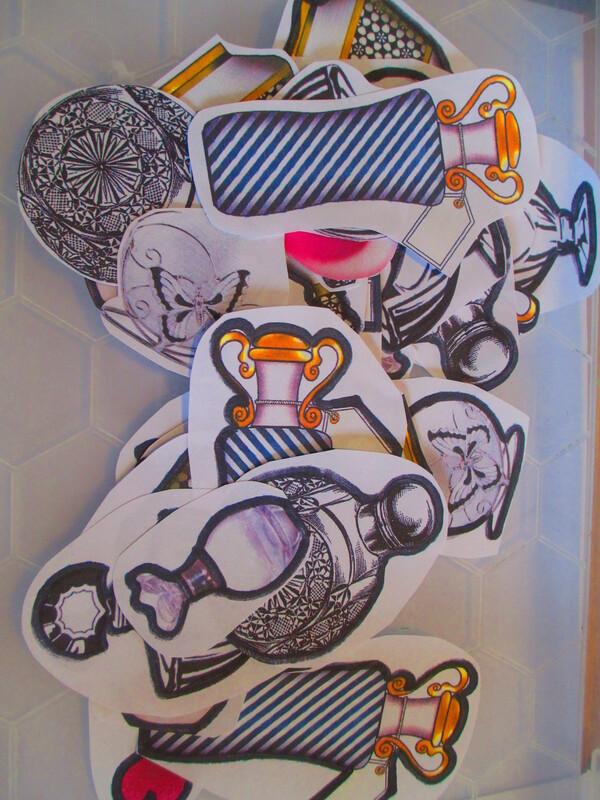 I have shown what the craft would be like using colour printing/photocopying and black and white. 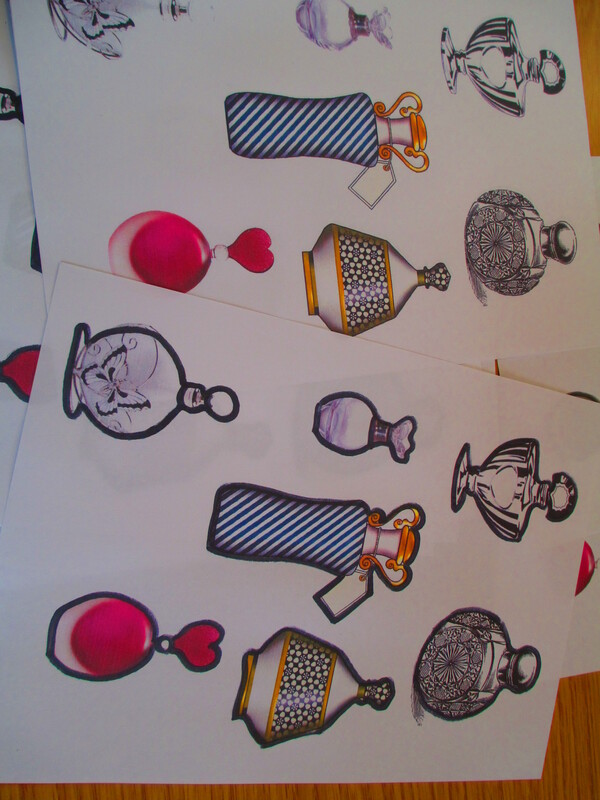 I did go around the outlines of the bottles with marker pen so they stand out more and I cut them out in a bubble – but they need a flat bottom to sit on the shelf!! 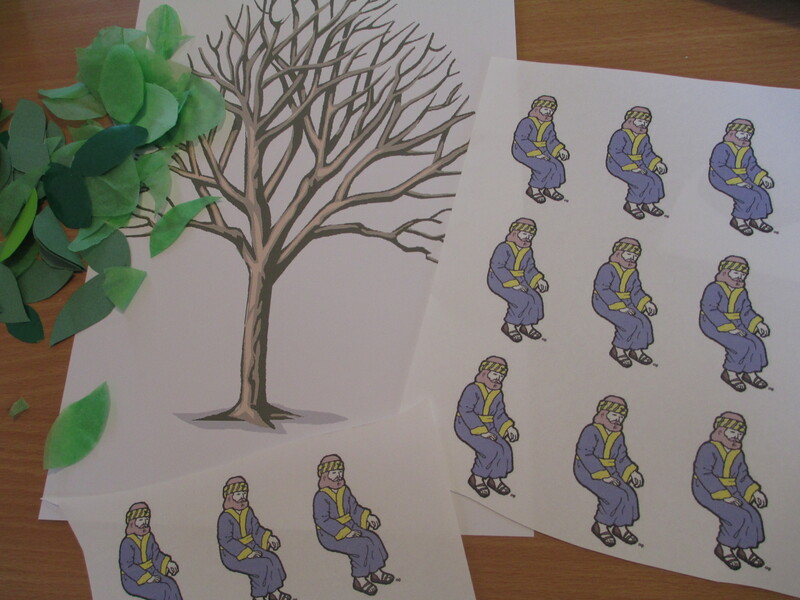 Zacchaeus – and a giveaway for you to enter!! A few weeks ago in toddler group we learnt about our feet. To build on that we have done a Bible story that includes feet – in Luke 19 we read that a man called Zacchaeus ‘wanted to see who Jesus was, but being a short man he could not, because of the crowd. So he ran ahead and climbed a sycamore-fig tree to see him.’ (Luke 19:3,4). 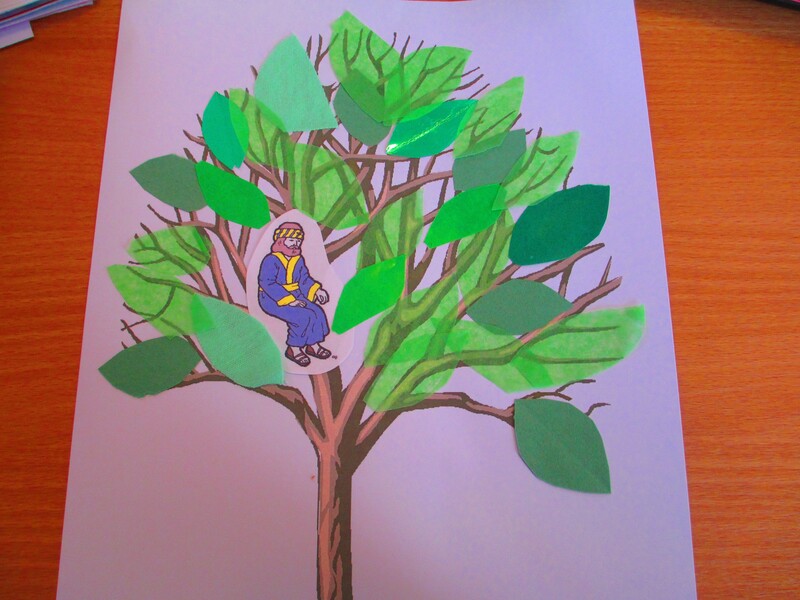 In the story time we looked again at our feet being wonderfully made and then continued with the story of Zacchaeus. With very young children it may be enough to just teach that Zacchaeus wanted to see Jesus and how he managed to do that. Children can run on the spot and pretend to climb a tree as you tell the story. With school age children you could tell the whole story. 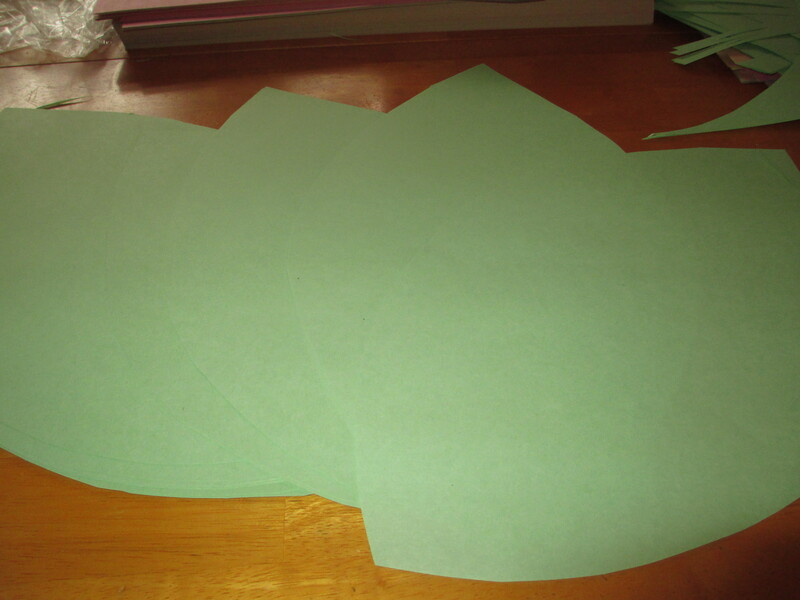 For the craft we had a tree outline and leaves cut from different types of paper and material – which gives the picture some texture and adds different shades of green. Each child had just one man to stick in the tree. Take a look at a giveaway I am holding here. It closes on January 31 2015. We will post to anywhere in the world so feel free to take a look and leave a comment if you would like to win! For another idea about telling this story see here. 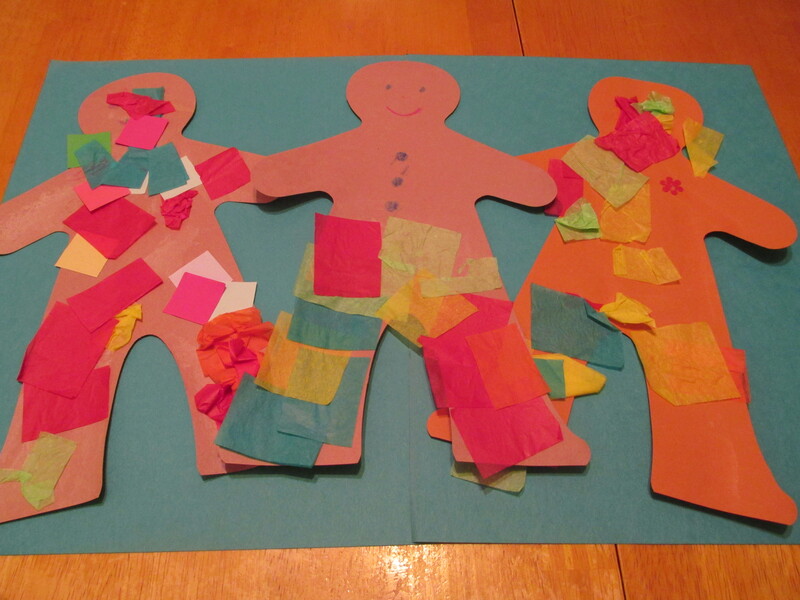 For this craft you need to make or buy people cut outs. 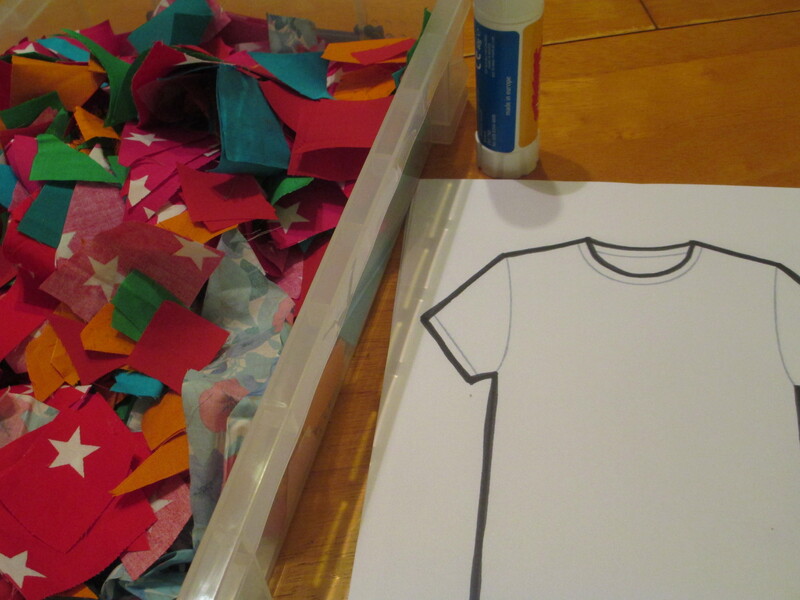 (The ones in the picture are bought) Provide shapes for clothes and crayons or felt tips for added detail. Older cildren could add googly eyes. The story of Tabitha (Dorcas) is found in the Bible in Acts 9:36-43. She was a follower of Jesus who helped others by making clothes. We used this story as an extension to ‘Thank you God for our hands’. The story was told to under threes using a bag of items that you need for sewing – scissors, material, thread, needle, pin cushion. 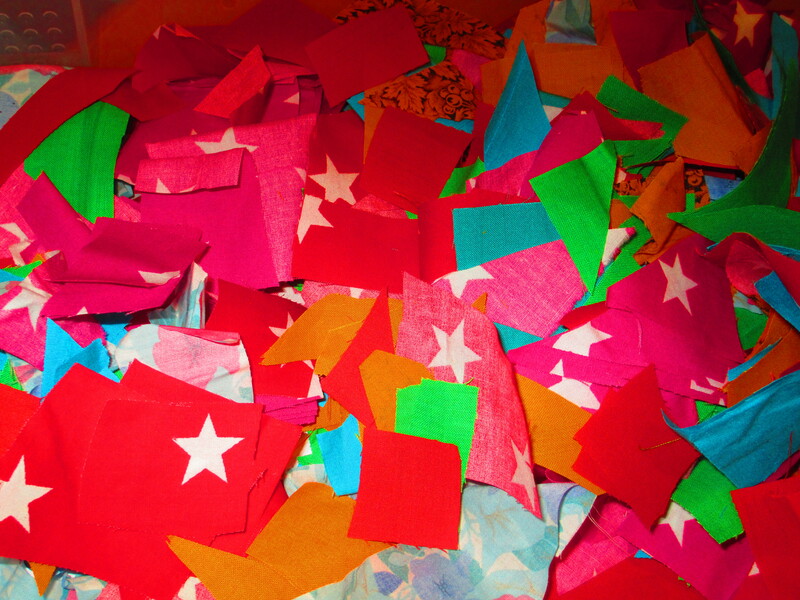 These were taken from the bag one at a time and named. We also had a picture of Tabitha sewing. We didn’t talk about Tabitha dying and being bought back to life but you could do that with older children. 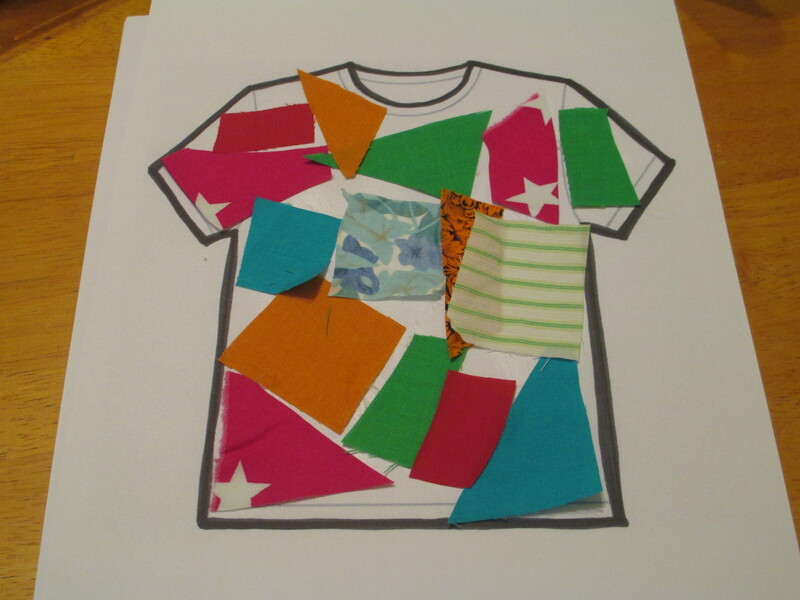 The above craft – a T-shirt outline, fabric shapes and glue. 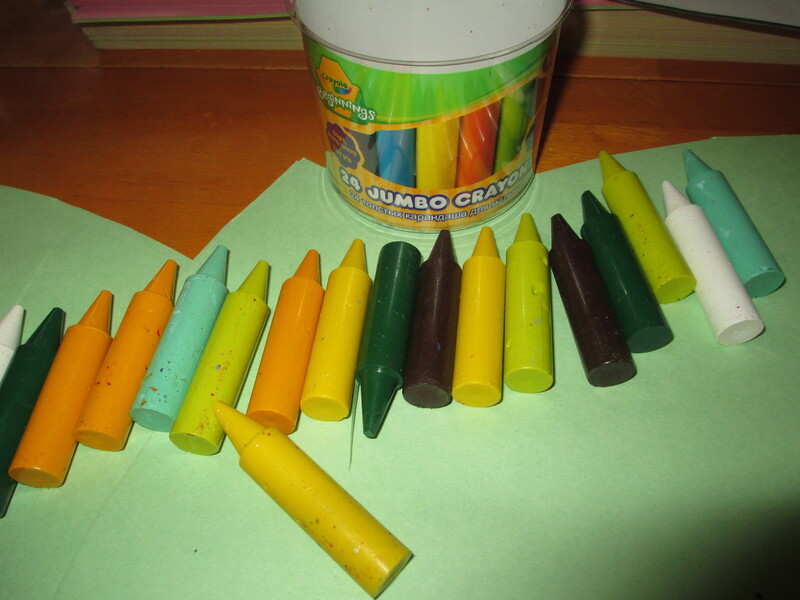 I used a variety of colours and the children could also use crayons. Very simple but effective and fun.